Video – Ben Arfa’s Villa Special, From The Terraces! Your chance to relive Hatem Ben Arfa’s beauty against Villa but from the terraces! Not the greatest match in the world but these moments are why we turn up every week, hoping for another classic Hatem-Bomb! We’re getting a bit spoilt so make sure you treasure each and every one of them. 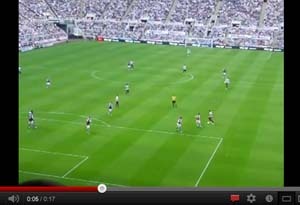 Another screamer from Hatem Ben Arfa St.James’ Park, relive the moment in this ‘from the terraces’ video special.